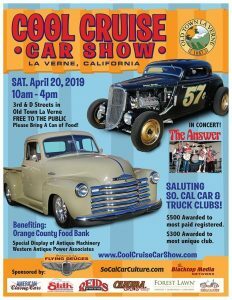 The Cool Cruise Car Show benefiting the Orange County Food bank is back! Bring a can of food to this free event on Saturday, April 20, from 10:00am-4:00pm and enjoy the fun! 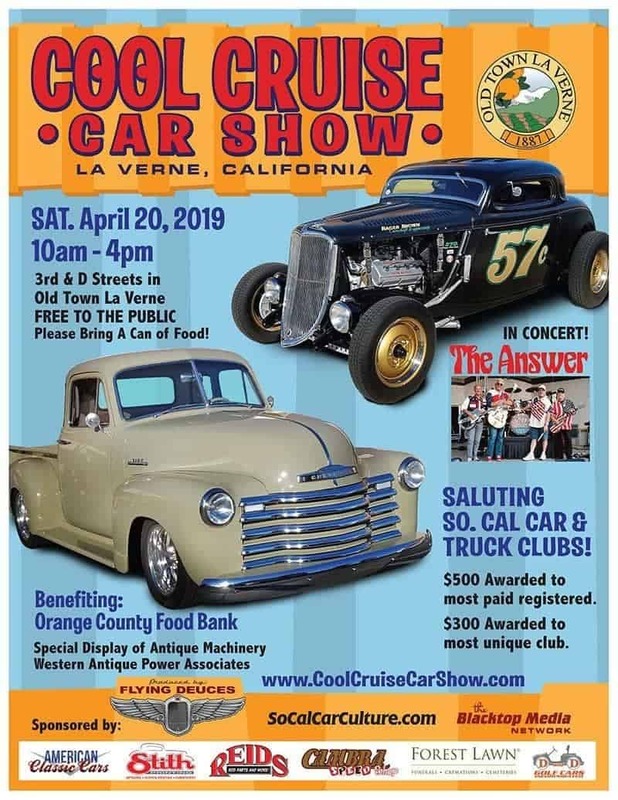 The Cool Cruise Car Show salutes Southern California car and truck clubs. $500 award available to the most paid registered, and $300 award to the most unique in club. A special display of antique machinery will be available, as well as music by The Answer. enjoy a car show featuring Southern California’s hottest cars and trucks. This show will sell out, so mail in your registration form early. Vendors, unique shops, prizes, great food and more will be there too. This is one to not be missed!